The name Kunta Kinte might ring a bell of the famous story of a young man born in 1750 and forced into slavery. The rebellious and brave slave Kunta Kinte is known to trace his African roots to The Gambia. However, little is known about the island named after the character in the novel Roots: The Saga of an American Family by American author Alex Haley. The Kunta Kinte Island is a small island in the Gambia close to Jufure village, the birthplace of the character Kunta Kinte whom Haley claimed was based on one of his ancestors from the Gambia, born in 1750 and enslaved in America till his death in 1822. 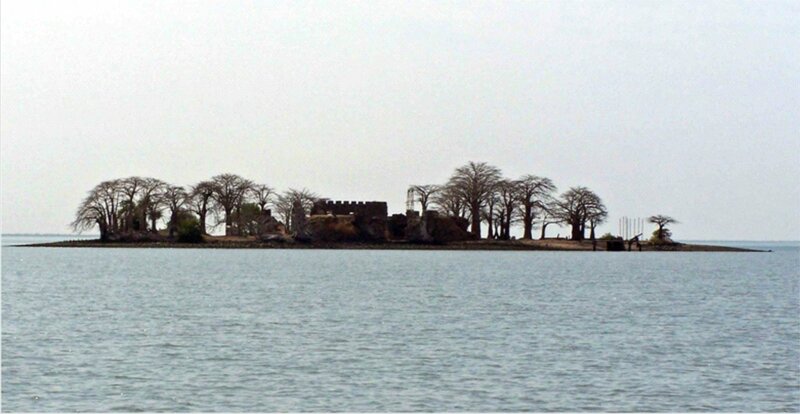 The island was given the name Kunta Kinte island in 2011 to provide it with a better African feel and relation. It was first named St Andrew’s island when it was first discovered in May 1456 by Portuguese explorers after one of their sailors died during a travelling escapade. The sailor’s name was Andrew and the captains of the ship looked out for land until they came across the Kunta Kinte island. Andrew was buried there, and the island was named after him. Later in the 17th century, Polish explorers settled on the island and sent couples and pastors to start a European community in 1658. They were successful until the British captured the island in 1661 and renamed it the James Island. The island is in the middle of the Gambia river and joins the Atlantic Ocean. Its position made it a popular island during the best years of the Trans-Atlantic slave trade. 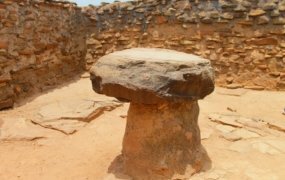 For slaves leaving Africa through the Gambia, Senegal and neighbouring colonies, it was the last point of departure. Before its discovery by the Europeans, the river and the island were a vital trade route for the Arabs and Phonecians. 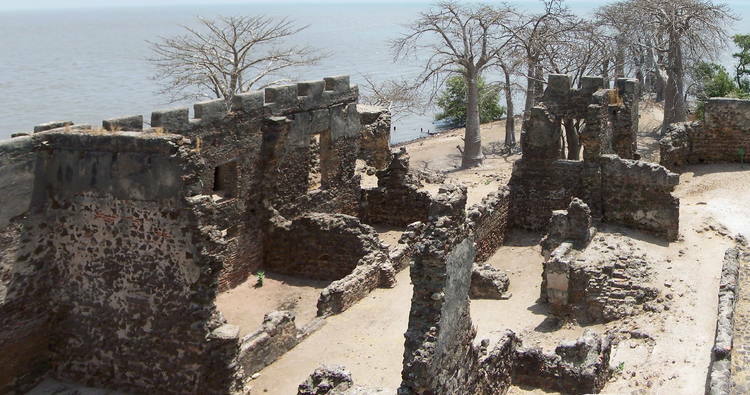 The island became a major stop for trade and gained popularity during the slave trade era. Ships that captured Africans stopped on the island for the sailors and captains to take a rest before setting off again. Many slaves who were to be taken to the Western world died on the island due to lack of food and proper treatment. The island had no water, and the colonisers stored safe drinking water in drums for their use alone. Slaves who were rebellious were kept in cages or dark rooms in the many forts built by the British. The island soon became a successful European settlement and was rebuilt several times by the British and the French as and when they had control over it. The European settlement is what led to the Gambia being colonised. After the abolition of the Slave Trade in 1807 by the British Empire, the island was deserted and became a defence site for illegal slave trade on the Atlantic. The island became a good observation point during World War II between 1939 and 1945. Many African soldiers chosen to fight in the war passed through the island as a safer route to the West. Today, the island has become one of the most visited sites by African Americans. In 1996, the Gambian government established an annual event known as the ‘International Roots Homecoming Festival’. A day-long trip to the island is one of the essential aspects of the festival which is also known as the Heritage Week.